The combination of an aging population and an increasing prevalence of diseases associated with impaired-wound healing, including obesity, peripheral vascular disease and diabetes, is likely to result in a dramatic increase in the incidence and prevalence of chronic skin wounds. Indeed, systemic reviews are now not only trying to establish both the prevalence and the often under-estimated socio-economic costs of chronic skin wounds, but most importantly are addressing the impact that chronic wounds have on quality of life. 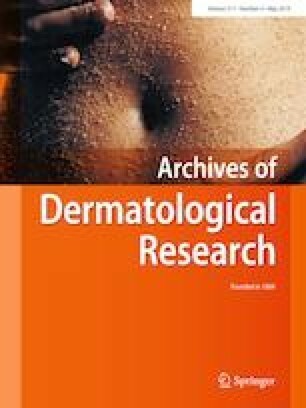 Given the clear need for novel approaches to the management of chronic skin ulceration, ideally developed and tested in the human system in a manner that can be rapidly translated into clinical practice, we examined the effects of multipotent primary human nestin+ progenitor cells on human wound healing in an ex vivo model. Human sweat gland-derived nestin+ cells demonstrated the capacity to significantly promote two key wound healing parameters, i.e., both reepithelialisation and angiogenesis in experimentally wounded, organ-cultured human skin. The current data further support the use of full-thickness human skin wound-healing models ex vivo to pre-clinically test wound healing-promoting candidate agents. Whilst larger studies are required to substantiate a firm “proof-of-concept,” our preliminary studies encourage further efforts to systemically determine the potential of cell-based regenerative medicine strategies in general, and the use of skin appendage-associated human nestin+ cells in particular, as novel treatment strategies for chronic skin ulceration. Tian Liao and Janin Lehmann contributed equally as first authors, Sabine Sternstein and Arzu Yay contributed equally as second authors, Ewan A. Langan, Stephan Tiede and Ralf Paus contributed equally as senior authors. The online version of this article ( https://doi.org/10.1007/s00403-019-01889-x) contains supplementary material, which is available to authorized users. The management of chronic skin ulcers constitutes a major healthcare challenge [6, 16], which is exacerbated by the increasing prevalence of vascular perfusion disorders, diabetes mellitus and other conditions associated with impaired-wound healing. Therefore, novel treatment strategies for chronic skin wounds need to be urgently developed and tested; ideally in the human system. For safety, cost, and regulatory reasons, cell-based regenerative medicine approaches, with transplanted autologous adult progenitor cells, have long been viewed as a particularly promising skin-regeneration strategy in this context [1, 10, 18]. In the current pilot study, we have attempted to generate preclinical proof-of-principle for one such cell-based ulcer management strategy: administering multipotent primary, human nestin+ progenitor cells to experimentally wounded, organ-cultured full-thickness human skin, using a punch-within-a-punch design . These wounded human skin fragments were transplanted with adult nestin+ progenitor cells derived from adult human sweat gland (eccrine and apocrine) stroma (nestin+-SGSCs), which had been isolated and characterized as previously described [9, 14, 15, 18]. These stromal cells contained 80% nestin+-SGSCs before in vitro transplantation, showed the expected multilineage differentiation capacity [14, 15] and improved vascularisation in vivo in a mouse model for dermal regeneration . The current study builds on previous work that had demonstrated the presence of nestin+ pluripotent cells in murine hair follicles and reported their capacity to promote angiogenesis and nerve/spinal cord repair [2, 3, 4]. In human skin, these nestin+ cells are predominantly found in the stroma of skin appendages, namely of hair follicles (HFs) and, most prominently, of sweat glands . Given that HFs themselves may influence wound healing, sweat gland stroma was selected to isolate nestin+ cells. We specifically asked whether the transplantation of adult human nestin+-SGSCs into the wound bed of adult human skin enhances epidermal regeneration and angiogenesis, two key components of skin wound healing . Nestin+-SGSCs were isolated from excess axillary skin obtained during elective plastic surgery, while 4 mm skin punch biopsies (with a partial thickness central 2 mm punch biopsy, see Fig. S1) were derived from facelift surgery, after patient consent and formal ethical approval. Transplanted nestin+-SGSCs were labelled with nanoparticles to facilitate their visualization (Fig. S1, Ref. s1). For practical reasons, the progenitor cells employed in the current pilot assay were heterologous (i.e., did not come from the same patient as the wound skin fragments, and were derived from subjects unrelated to the skin donors). Obviously, sweat gland-derived autologous nestin+-SGSCs from the same patient whose wounded skin is cultured (which were unavailable to us) may also be tested in this assay system. In our first, exploratory pilot assay, 6 days after transplantation of nestin+-SGSCs, epidermal regeneration appeared macroscopically to be substantially enhanced in the test group (Fig. S2). Enhanced reepithelialisation was confirmed and quantitatively assessed in two subsequent assays performed with human skin from two different individuals (Fig. 1a-c). Control assays, run in parallel, demonstrated that in contrast to transplanted adult human nestin+-SGSCs, neither extracellular matrix components (Matriderm®) nor transplanted human epidermal keratinocytes significantly enhanced human skin reepithelialisation ex vivo (Fig. S3). Keratinocytes were used for comparison given their pivotal role in reepithelialisation and to examine the effects of nestin+-SGSCs on keratinocytes during wound healing. These results are in contrast to the accelerated ex vivo wound healing induced by keratinocytes reported by Moll et al. , who had used fetal bovine serum. In contrast, we selected a serum-free system, chosen specifically to avoid any confounding effects resulting from components of serum from a different species. Having found no significant effect of human epidermal keratinocytes on reepithelialisation, subsequent experiments compared only wounded human skin fragments with and without transplantation of nestin+-SGSCs (5 × 104 positive cells per wound bed topically applied in culture medium) over a culture period of 6 days, i.e., controls were treated only with supplemented serum-free medium . Next, we assessed skin reepithelialisation by quantifying the area and length of the newly generated epithelium (“epithelial tongue”) of the inner wound edges, two key reepithelialisation parameters in wound healing research . Based on the analysis of independent organ culture experiments with wounded human skin fragments from two different individuals, nestin+-SGSCs significantly enhanced both the area and the length of the newly formed epithelial tongue of the inner wound edges 6 days after transplantation (Fig. 1d, e). As epithelial tongue length is an indicator of keratinocyte migration during reepithelialisation  this suggests that nestin+ cell transplantation promotes this process. Furthermore, keratin 5 protein immunoreactivity, a basal layer marker for proliferating, as yet not terminally differentiated keratinocytes, was expressed in the basal and suprabasal layers of the regenerated epithelial tongue 6 days after nestin+-SGSCs transplantation (Fig. S4a). While nestin+-SGSCs transplantation did not significantly affect the number of apoptotic (TUNEL+) cells in the regenerated epithelial tongue of the inner wound edges (quantitative data not shown). Instead, the number of proliferating (Ki-67+) cells in the newly generated epithelial tongue of the inner wound edges was significantly increased at day 6 after nestin+-SGSCs transplantation (Fig. 1f). Finally, we tested whether angiogenesis was affected by the transplanted nestin+-SGSCs. To do so, we assessed the intensity of the immunoreactivity for the endothelial cell marker CD31 (platelet endothelial cell adhesion molecule, PECAM-1), the number of CD31+ cells, and the number of CD31+ blood vessel cross-sections (lumina) in defined reference areas under the wound bed by quantitative immunohistomorphometry. This revealed that 6 days after experimental skin wounding and transplantation of nestin+-SGSCs all three angiogenesis-related parameters were significantly upregulated (Fig. 2a, b). Despite their limitations and preliminary nature, the preclinical pilot assay data reported here strongly suggest that cell-based therapy with human sweat gland stroma cells greatly enriched for adult nestin+ progenitor cells has the capacity to promote both the reepithelialisation and angiogenesis of wounded human skin. Full proof-of-concept will require that these findings can be reproduced with primary nestin+ cells from different individuals, in additional skin wound ex vivo assays, and with additional desirable controls (e.g., dermal fibroblasts). Indeed, further studies would be well advised to determine whether the wound healing-promoting effects are dependent on the number of nestin+-SGSCs applied to the wound bed, and whether the model is sensitive enough to address any cell density-dependent effects. Moreover, we cannot exclude that the nanoparticles per se exerted some influence on the measured wound healing parameters. That nestin+ cell-enriched stromal cells, rather than 100% purified nestin+ cells, were used and shown to exert wound healing promoting effects, suggests it may well be dispensable to use highly purified autologous cell preparations. In fact, one wonders whether the presence of other supporting stromal cells may actually facilitate the wound healing-promoting activities of transplanted progenitor cells. Furthermore, the relatively short duration of skin organ culture (6 days) should be borne in mind. Since the cutaneous architecture remains intact up to and including day 6 , the model is ideally placed to study the early phase of wound healing. It remains unclear how long the nestin+ cells remain viable in prolonged skin organ culture. However, it would be interesting to determine whether the tissue degeneration seen in long-term organ culture is ameliorated by the addition of nestin+ cells (if so, this would encourage one to follow-up whether nestin+ cells also exert tissue preserving/anti-aging effects). Another potentially important factor was the use of nestin+ cells derived from heterogenous donors. Whilst it is interesting to observe the wound healing-promoting effects despite the nestin+ cells being derived from different donors, for the model to gain translational value it would be useful to determine the effects of nestin+ cells on wound healing in ex vivo skin fragments derived from the same patient. While our pilot study suggests that transplanted nestin+ cells stimulate keratinocyte migration, the underlying mechanism is unclear. However, given that mesenchymal stem cells are well known for their extensive repertoire of secretory activities [8, 19, 20], it is conceivable that nestin+ progenitor cells, which may be comparable in their highly plastic differentiation potential to adipose-derived mesenchymal stem cells, also impact on keratinocyte migration by secreting migration-enhancing growth factors. Clearly, future studies will have to determine how nestin+ cells influence the balance between keratinocyte proliferation, apoptosis, migration and differentiation, culminating in the acceleration of epidermal repair. We show in the current study that the standardized, serum-free organ-cultured, experimentally wounded full-thickness human skin organ culture model used here provides a simple and instructive, clinically relevant test system for probing novel regenerative medicine strategies, including cell-based wound healing treatment strategies, which complements previous human skin wound healing assays [7, 13, 17, 21]. Not only epidermal regeneration and proliferation, but even angiogenesis can be instructively studied in situ under these organ culture conditions, despite the absence of normal perfusion and the collapse of blood vessels. Besides nestin+-SGSCs, other potentially regeneration-promoting skin-derived stem/progenitor cell populations such as CK15+ human hair follicle epithelial progenitors, hair follicle-associated nestin+ progenitor cells (Ref. s2-9), and mesenchymal stem cells derived from umbilical cord blood, bone marrow or adipose tissue (Ref. s10-11), can all be tested in this model. The results of this pilot study should be considered as preliminary and the study has several limitations. For example, one would like to see it repeated (1) with primary nestin+ cells from different individuals, (2) in several skin wound ex vivo assays, and (3) with additional desirable controls including, before the findings reported here can be accepted as definitive proof-of-concept. However, our pilot data encourage the systematic pursuit of this promising line of work. The underlying mechanisms of action, e.g., release of wound healing-promoting growth factors by nestin+ cells, direct impact of nestin+-SGSCs on the differentiation/proliferation/migration of keratinocytes and endothelial cells, and the stimulation of resident skin progenitor cell populations to undergo differentiation, e.g., into keratinocytes or endothelial cells, all remain to be clarified. The current pilot data strongly suggest that adult human progenitor cell populations derived from normal human sweat gland stroma, which are greatly enriched in nestin+ cells and which can be isolated with relative ease from human skin , stimulate both epidermal regeneration and angiogenesis in wounded human skin ex vivo. This encourages one to further explore the use of adult human nestin+-SGSCs in the therapeutic promotion of human skin repair. The expert advice and experimental support of Dr. N. Meier during assay development, and the technical assistance of Nancy Ernst, Claudia Kremling, and Nadine Dörwald, are gratefully acknowledged. This study was supported in part by a grant from the Federal Ministry of Science and Technology (BMFT), Germany, to C.K. and F.S.. A.Y. was supported by a rector’s scholarship from the University of Erciyes, Turkey. R.P. was supported by a grant from the Fraunhofer Society and by departmental start-up funds from the University of Miami. Patients provides informed consent and ethical approval was obtained from the University of Luebeck Ethics Committee.